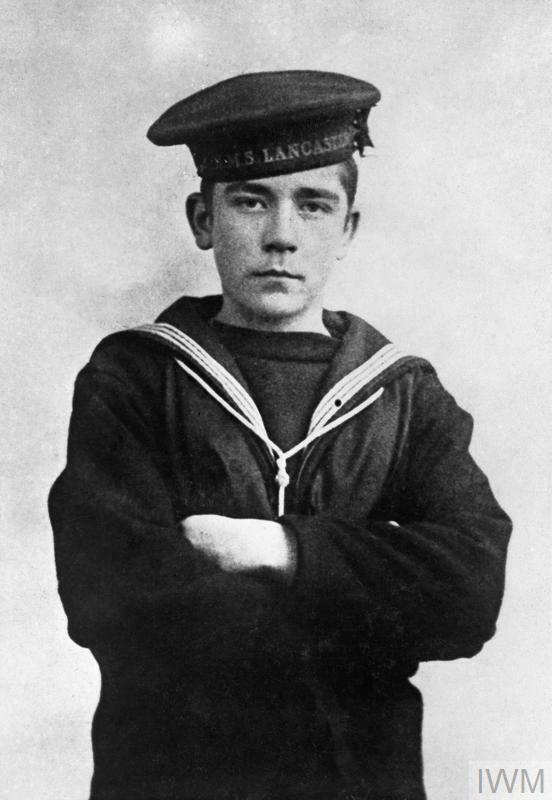 Jack Cornwell was only 16 when he lost his life at the Battle of Jutland. His ship came under heavy fire and he was mortally wounded, but stayed steady at his post, ready to follow orders. It was this devotion to duty that earned him both the nation’s respect and a posthumous Victoria Cross. John ‘Jack’ Cornwell was born into a working-class family in Essex in January 1900. When he left school in 1913, he wanted to join the Royal Navy but he was too young, so he became a delivery boy instead. In July 1915, with Britain now at war, Jack Cornwell joined the Navy. He began his training as Boy 2nd Class at Keyham Naval Barracks, Devonport. The Navy suited him and he did well in his training, achieving high marks in gunnery and seamanship. During this time, Cornwell corresponded with his parents. In one of the surviving letters, he wrote that he had been on a route march and at drill that day, so was “pretty tired you can bet”. He signs off as “your ever loving son Jack” and includes kisses for the family’s cats and chickens. In February 1916 Cornwell became Boy (1st Class) and, on 1 May, he completed his training. The next day, he became part of the crew of HMS Chester, a newly-commissioned light cruiser which soon joined the fleet at Scapa Flow. At the end of that month, HMS Chester and Jack Cornwell both went into battle for the first time. A half length portrait widely attributed as being Boy (1st Class) John 'Jack' Travers Cornwell, though current research suggests it is likely to be one of his brothers. Cornwell was posthumously awarded the Victoria Cross for remaining at his post at the forward 5.5 inch gun of the cruiser HMS Chester. The ship was badly shelled by four German cruisers and Cornwell's position was hit four times, killing all the crew apart from Cornwell. The badly wounded boy sailor was taken back to Grimsby where he died on 2 June. Portrait of Boy (1st Class) Jack Cornwell VC, 1916. 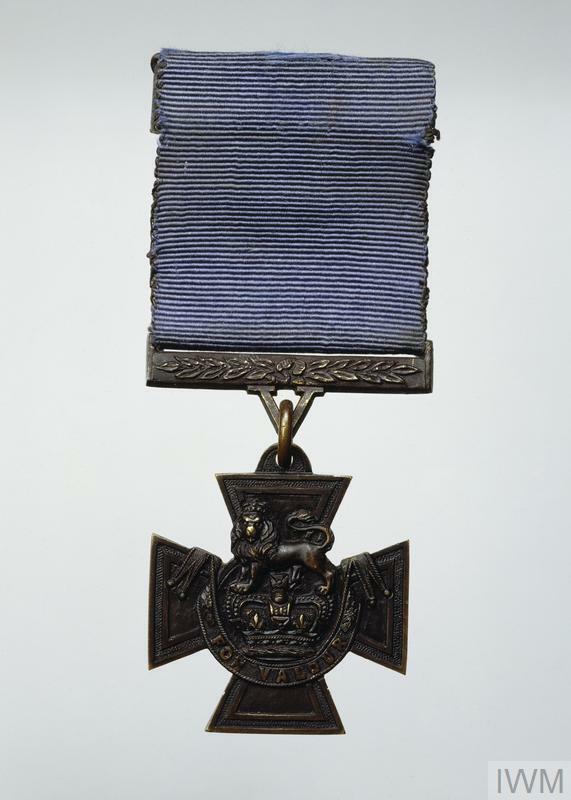 This Victoria Cross is engraved on the reverse of the suspension bar: 'BOY FIRST CLASS J.T.CORNWELL. ROYAL NAVY'. The date of the action, '31.MAY 1916', is engraved on the reverse of the medal in the central circle. Jack Cornwell’s Victoria Cross, awarded posthumously in September 1916. 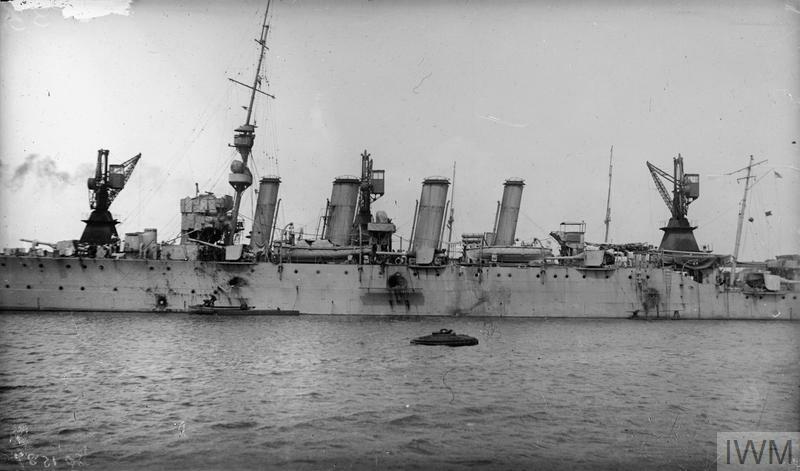 HMS Chester was attached to Rear Admiral Horace Hood’s 3rd Battle Cruiser Squadron. Cornwell was the sight-setter for the forward 5.5-inch gun, an important and high-risk role, especially for a new, young rating with no battle experience. Cornwell was responsible for relaying the orders of the gunnery control officer to the gun’s crew and for adjusting the brass sight-setting disc on the gun. His work required intense concentration and meant he had to stand outside the protective gun shield, leaving him exposed to danger. 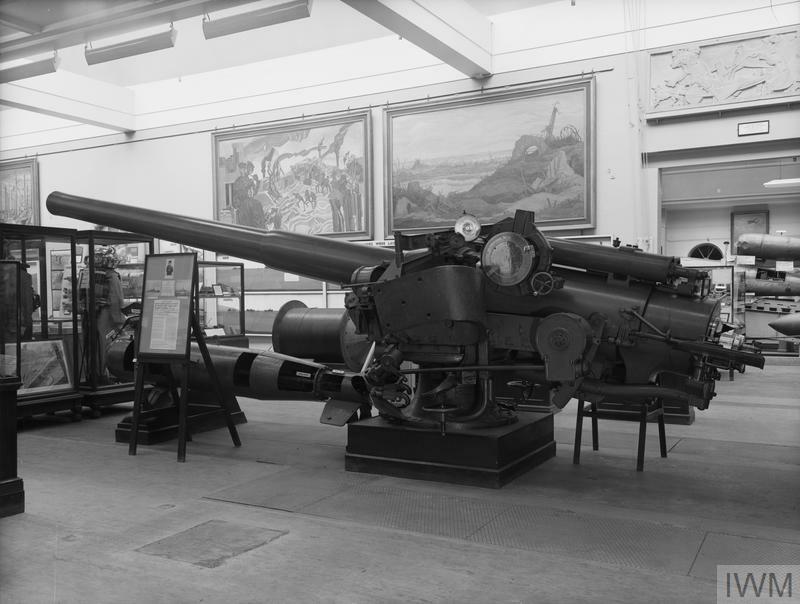 The 5.5 inch gun from HMS Chester on which Jack Cornwell served and won his Victoria Cross. Available to see on display in IWM London's First World War galleries today. Late in the afternoon of 31 May 1916, Hood’s battle cruisers were 25 miles ahead of the rest of the fleet as it raced at full speed to support Vice Admiral Sir David Beatty in action against the Germans. HMS Chester was 5 miles in front of Hood’s squadron, passing visual signals between the battle cruisers behind it and an attachment of four destroyers ahead. At around 5.30pm, Chester was sent to investigate gun flashes detected to the south-west of the British ships. Suddenly, through the mist, four German light cruisers appeared. In the confusion of the battle, Chester had run into the German 2nd Scouting Group and was seriously out-gunned. Despite this, Chesterturned and opened fire on the enemy ships. But this was in vain. The German light cruisers began to bombard the Chester. Within three minutes, three of Chester’s ten guns were put out of action. 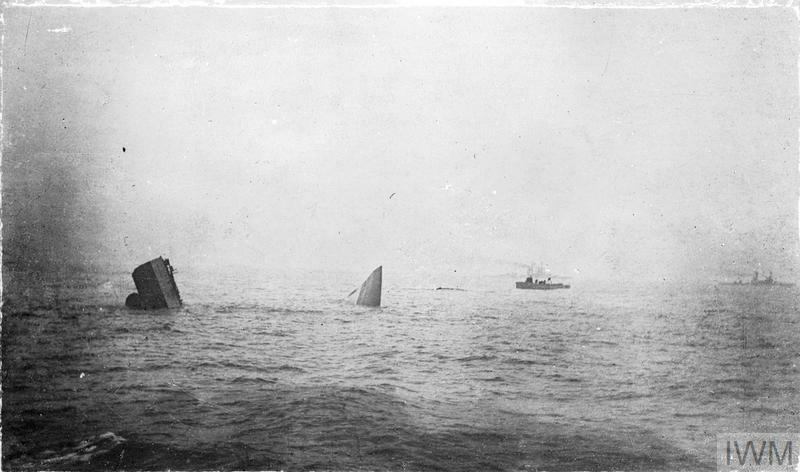 The scene on deck was one of panic and devastation. The gun crews lay, dead or wounded, amongst the smashed-up debris of the ship. Cornwell’s team were all killed early on in the action and he was horribly injured. Flying metal shards from German shells had ripped through the 16-year-old’s legs and stomach. But, as the German light cruisers continued to submit Chester to a withering fire, Jack Cornwell remained at his post. 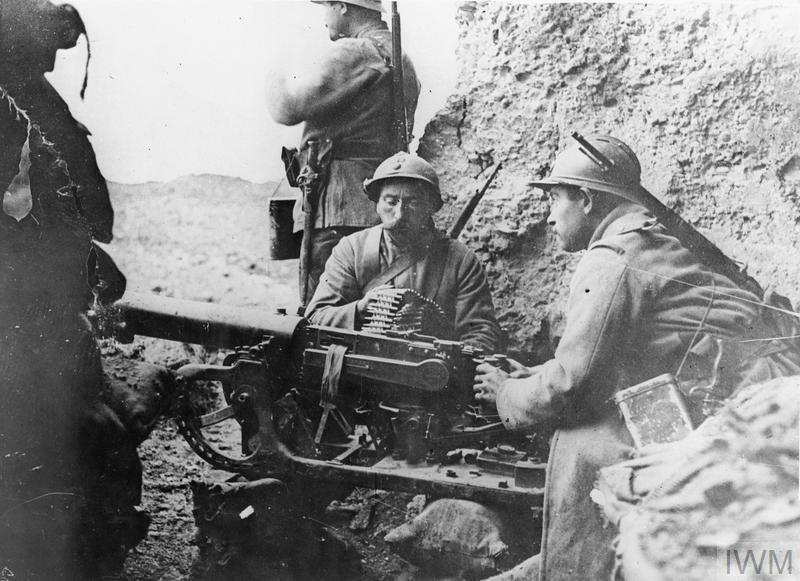 Despite his painful injuries and his isolated position, he stayed put, ‘quietly awaiting orders’, determined to see out the battle and do his duty. For nearly 20 minutes, HMS Chester was under intense shellfire and received at least 17 direct hits. Its captain, Robert Lawson, managed to skilfully guide it away from the 2nd Scouting Group and out of danger. The ship had – somehow – survived, but the carnage that had been wrought meant Chester was out of action for the rest of the battle. In addition to the three guns that had been destroyed, the ship was holed along the side and had suffered more than 70 casualties among the crew. The following day, HMS Chester was ordered to the River Humber and its wounded were taken to Grimsby Hospital. It was there that, on 2 June 1916, Jack Cornwell died from the extensive wounds he had received at Jutland. After his death in Grimsby, Cornwell was buried quietly, without ceremony. His brave stand by his gun – and his death soon after – might have been forgotten by all but his family. But his actions soon became wider knowledge, when Admiral Sir David Beatty’s dispatch on the battle was printed in newspapers in July 1916. Beatty described Cornwell as “a splendid instance of devotion to duty” and recommended “his case for special recognition”. This brought about a huge public response and led to demands for him to be honoured for his bravery. His mother allowed his body to be exhumed and reburied in Manor Park Cemetery, east London, after a large public funeral on 29 July. Earlier that month, the question of awarding Jack Cornwell the Victoria Cross had been raised in Parliament. On 15 September, the posthumous honour was announced in the London Gazette. His mother collected his VC from King George V at Buckingham Palace in November 1916. But the public’s enthusiasm for honouring the ‘boy hero of Jutland’, as the Daily Sketch called him, did not end there. A portrait of him by Frank O Salisbury was presented to the Admiralty and 21 September 1916 was named ‘Jack Cornwell Day’. Schoolchildren could buy penny stamps with Cornwell’s image and the money raised provided the Star and Garter Home in Richmond, Surrey with a new ward for disabled sailors. The fund was also meant to help Cornwell’s widowed mother, Lily, and family, but they didn’t see much of the money and Lily died in poverty in 1919. Naval scholarships and homes for disabled sailors were founded in his memory and, in July 1917, a commemorative plaque was unveiled by Lady Jellicoe at Cornwell’s former school in East Ham. While growing up in East London, Jack Cornwell had been a keen Boy Scout. He was a member of a local Scout troop and earned several badges and an award for helping others. After his actions at Jutland came to public attention, he was posthumously awarded the movement’s Bronze Cross for gallantry by the Chief Scout, Robert Baden-Powell. The ‘Cornwell Scout Badge’ was also created to reward Scouts showing courage. Such an extensive amount of public recognition, honouring and memorialisation may seem out of proportion to Cornwell’s actions at Jutland, particularly in the context of how the other VC recipients from the battle were remembered. The Jack Cornwell legacy was largely created and cultivated by the British press, which instantly seized upon the emotive story, playing on the public’s eagerness for news of heroic deeds from the war. It’s also worth noting that, in the aftermath of the battle, there was a need to find something positive in the disappointing outcome. The brave actions of a young sailor in the face of overwhelming adversity seemed, to many, to be an example of true patriotism and devotion to duty. Whatever the motivations may have been, Cornwell’s short life and manner of death are still commemorated to this day. You can see Boy (1st Class) Jack Cornwell’s VC in the Lord Ashcroft Gallery at IWM London.